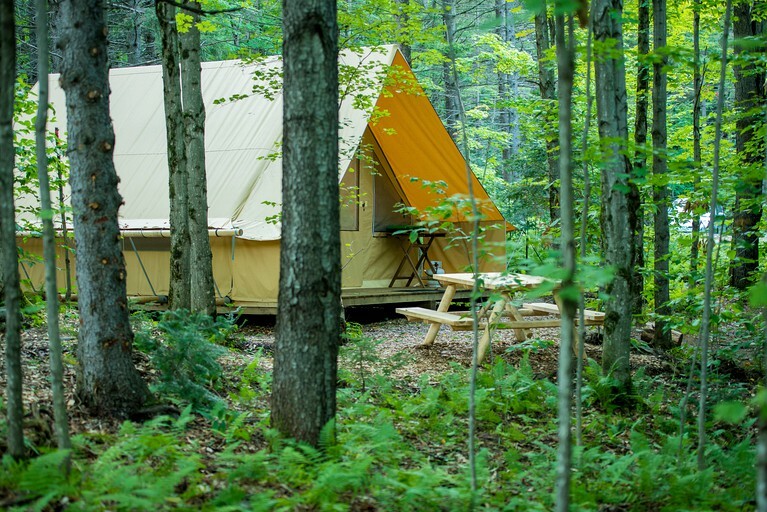 The glamping rental comes fully stocked and ready to camp with its very own wooden terrace and fire pit to enjoy. 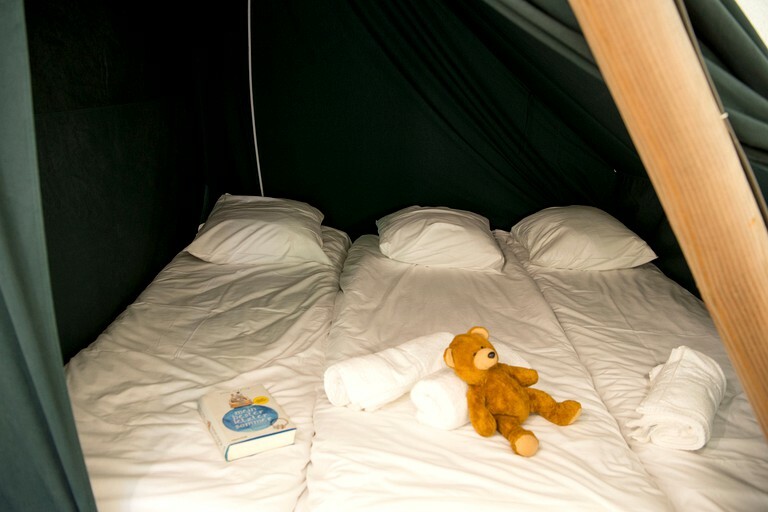 Mattresses are included in the accommodation and there is electric lighting hooked up so glampers will be able to enjoy their camping getaway even when the sun goes down. 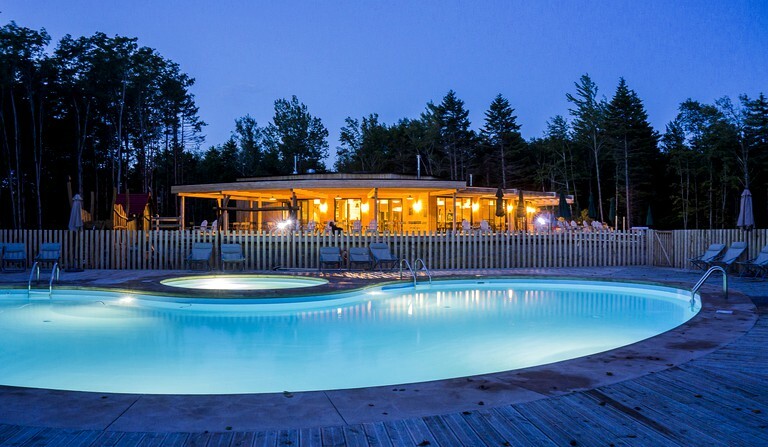 In the main area of the park, guests can make use of a fantastic heated swimming pool where they can relax and enjoy the stunning views over the mountains or head down to the terrace area where they can pick up a fresh pizza straight from the wood-fired oven. 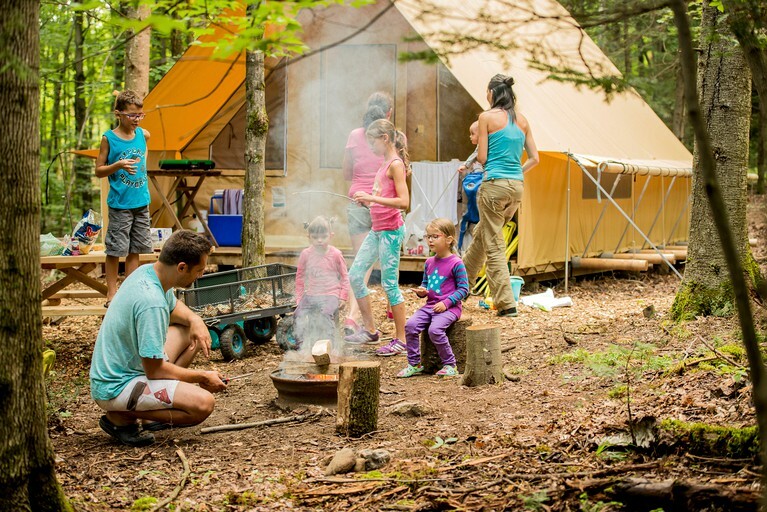 A kids club is available from mid-July to late-August. 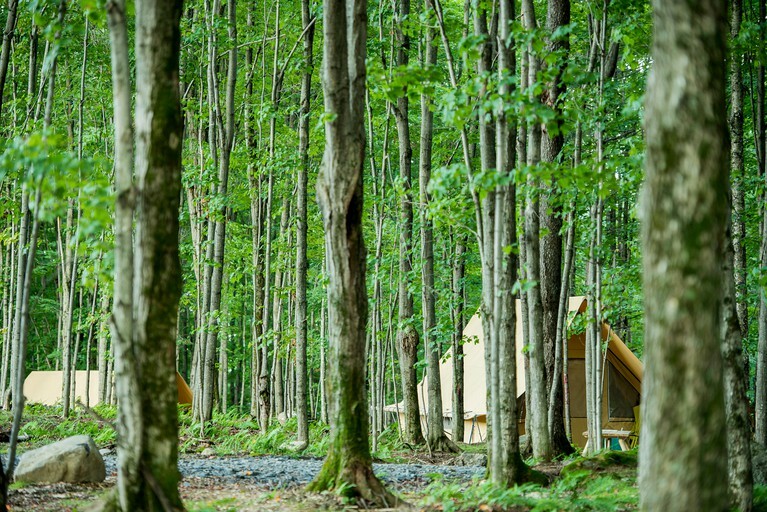 Guests will be able to partake in a number of workshops when staying at this vacation park, including cookery workshops, fishing tutorials, pottery classes, and even circus skills! 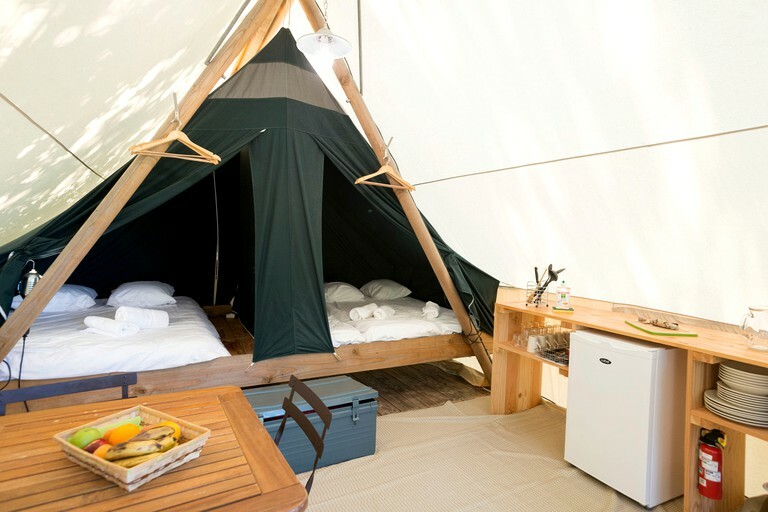 Glampers will be able to enjoy a truly unique vacation experience at this glamping getaway, tucked away on 65 hectares of mixed forest just waiting to be explored. A superb river, ideal for swimming, carves its way through the land and the site is only a stone’s throw from Mount Sutton and mile upon mile of superb hiking and nature. 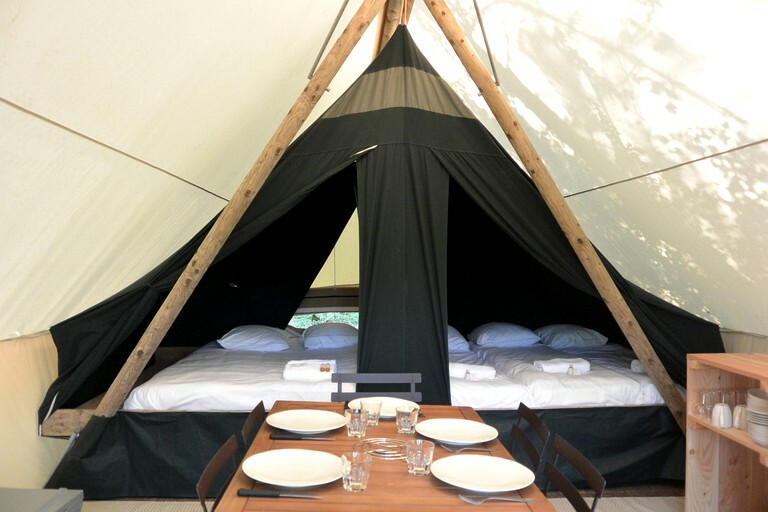 Glampers will love being able to enjoy an adventure-packed getaway at this destination with swimming, fishing, hiking, and bike riding all top of the agenda, as well as enjoying the stunning woodland that surrounds the area. 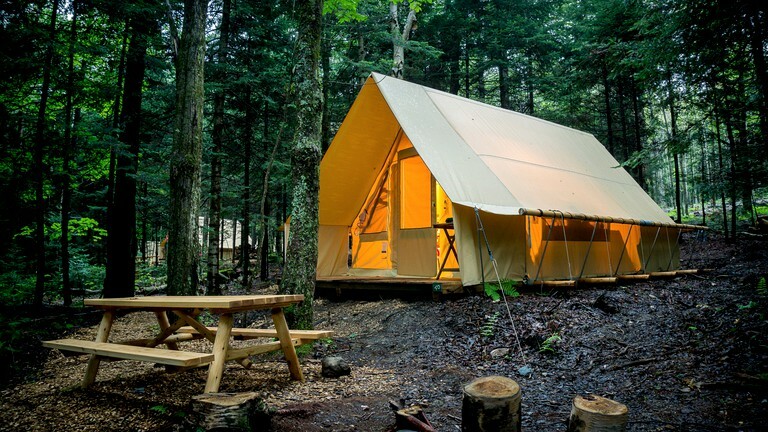 There are also fantastic art galleries that can be enjoyed in Sutton and many on-site activities for glampers to participate in. Leisure activities at the camp include the use of a badminton court, boules, table tennis, and table football. Other entertainment includes concerts, specialty dinners, guided forest walks, and even nightly magic shows and movie nights. For children, there are kids clubs held every morning where they can get together, make new friends, and partake in treasure hunts and outdoor games as well as crafts. Kids' club is open to all children aged between five and 12 years.